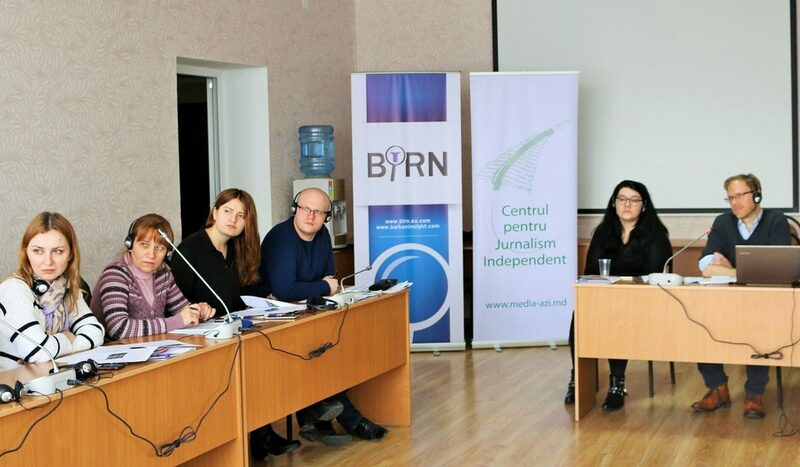 A training course entitled ‘Innovative Techniques for Quality Journalism’, organised by BIRN and the Independent Journalism Center in Moldova (IJC), was held on March 16-17 in Chisinau, Moldova. Fifteen participants representing national and regional media who are interested in launching partnerships at the international level and in publishing their stories in foreign media with the support of BIRN HUB, took part in the training. The training was conducted by BIRN editors Timothy Large, Marija Ristic and Marian Chiriac, who shared their experience in the field of narrative journalism. The trainers offered journalists a number of instruments and techniques for enhancing their reporting skills. The participants had the opportunity to hone their features, news and analysis writing skills and gain insights into online journalism and into the correct ways of reporting on conflict situations. The participants said they appreciated the training course, giving feedback responses saying that they learned how to write interesting futures, improved their professional skills and `learned new techniques for writing quality articles.